Every pain originates somewhere. No symptoms occur in the body without a cause. Pain serves as an indicator of a problem but only as a response and a symptom of an unresolved issue. Pain usually manifests as the last symptom to show up after an underlying cause exists for a long period. Pain also deteriorates long before the cause of an underlying issue completely resolves. The relationship between pain and disease paint a clear picture of why pain should not be used as a primary indicator of stress within the body. Many examples come to mind when explaining this concept, including high blood pressure, high cholesterol, and cancerous tumors. All of these conditions typically form without pain until their final stages of disease. The spine and nervous system operate likewise. Many studies have proven that pain does not serve as a good indicator for whether or not the spine and nervous system are healthy. A study published in a European medical journal evaluated over 800 young adults between the ages of 24-27 years old. They split the young adults into two groups. One group had no neck or shoulder pain while the other group experienced consistent neck and/or shoulder pain. All of the subjects underwent an MRI to evaluate the detailed health of their spine and intervertebral discs. Four major components were assessed: disc protrusions, degeneration, annular tears, and disc herniation. The study concludes that symptoms do not need to be present in order to have an underlying problem. People often neglect their spine and nervous system because they do not experience any physical pain and pharmaceutical companies advertise a solution in the form of drugs and harmful surgeries when pain finally does arrive. The spine plays far too vital of role in the health of all body function to follow a model of health based on reacting when the body begins to fail. From heart function and digestion to immunity and reproduction, the spine directly influences the proactive health of the nervous system and serves as a vital component to optimal health that needs careful evaluation and lifelong maintenance. Pain usually manifests as a final alarm that something is terribly wrong within the body. 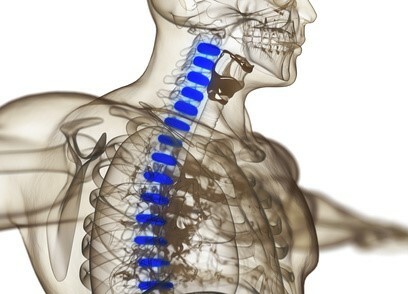 Chiropractors believe in proactively achieving and maintaining spinal health. True health care allows the incredible power within the body to flourish and provide years to life and life to years. Chemotherapy Is Necessary… to AVOID. New study regarding Breast Cancer treatment.